Lots of little stuff this week. The most noticeable is that we have functional lights in the cooler now. The HVAC spirals got the rest of the vents cut and attached. 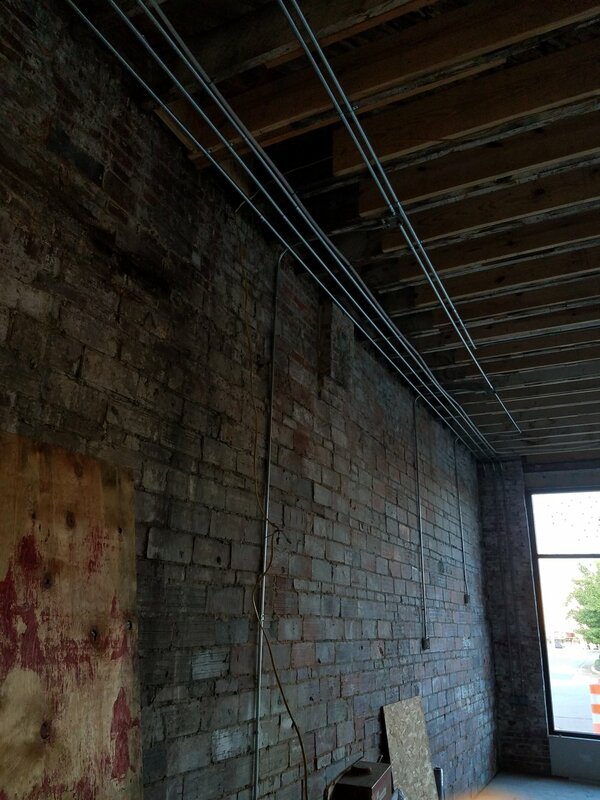 Lots of electric conduit runs, and work has begun on the sprinkler system. And finally a little bit of floor repair upstairs.